Adults may use the 32 public computers available on the second floor. 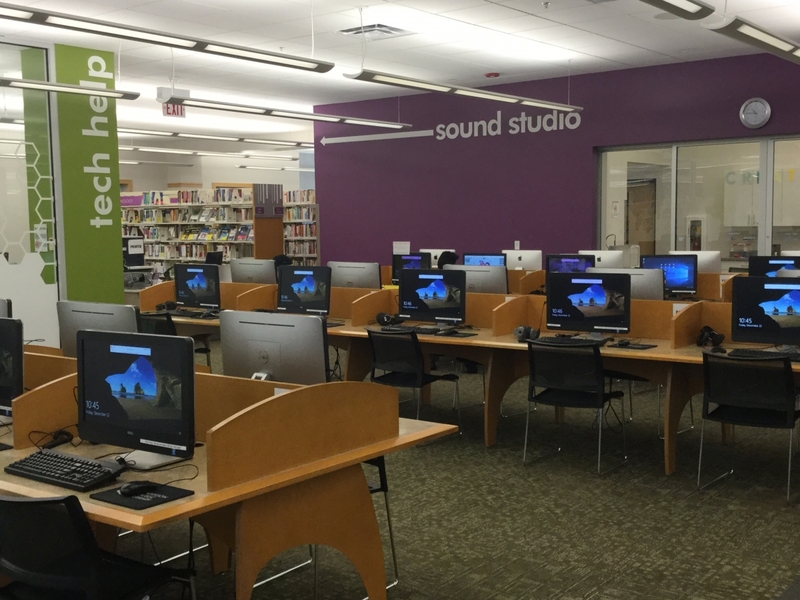 Addison Public Library cardholders are entitled to at least two hours on the computer each day. Non-Addison cardholders are given Guest Passes at the IT Help Desk. Teens may use the 32 public computers located on the second floor. 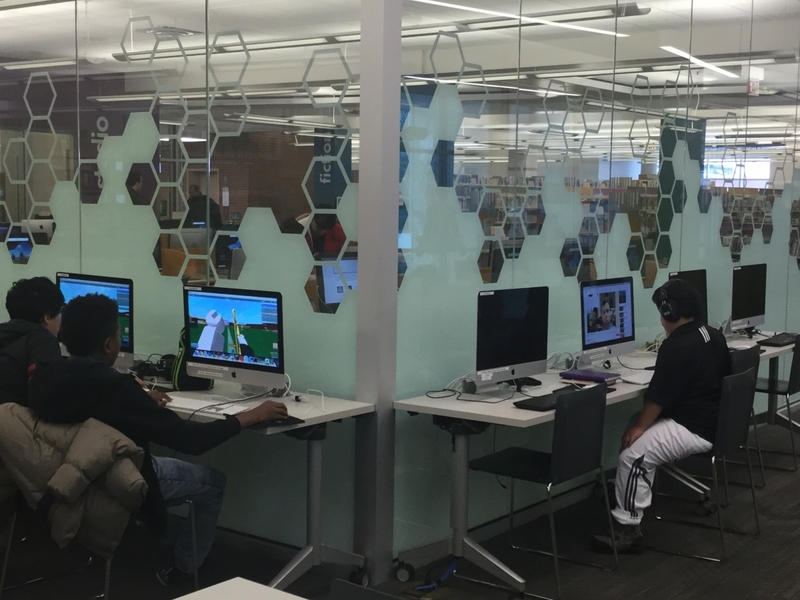 We also have ten homework/gaming computers in the Teen area loaded with Microsoft Office, games, and creative software. Touchscreen computers for children are available in the Children’s Library. The internet, Microsoft Office, Live Homework Help, TumbleBooks, TrueFlix, and BookFlix are available on the computers. The Children’s Library also has two iPads loaded with apps for use by young children. We have a walkup Internet station available to adults accompanying a child to use for 15 minutes. Windows and Mac laptops are available at the IT Help Desk and Children's Desk for a in-library checkout with an Addison Public Library card. The library uses an Internet filtering system on our desktops and Wi-Fi that blocks sexual and malicious content. Use of filtering is not a guarantee that all sites considered objectionable have been blocked. Filtering may block sites that are not considered objectionable. Our staff will deactivate filtering upon request for patrons aged 17 and above.